Next Step: Step Up and Win: A Cut(ting Board) Above the Rest Winner! Step Up and Win: A Cut(ting Board) Above the Rest Winner! 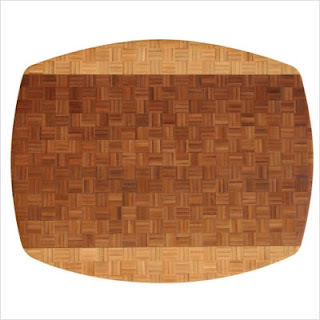 The first Next Step giveaway brought in 98 entries to win the Totally Bamboo African Congo Cutting Board from cookware.com! And after reading all of the lovely foods that you are all planning on dishing up using this cutting board I find myself in the mood for sweet potato fries, a big salad, bruschetta, smoothies and homemade bread all at the same time! So who's the big winner? Random.org tells me that its Jamie, who will be saving the countertop from a knife attack while chopping garden veggies on this bad boy! Jamie, please email me back at lydiasnextstep at gmail dot com before Friday, February 19th with shipping information and we'll have the good folks at cookware.com get you your new can't-live-without-it kitchen accessory! 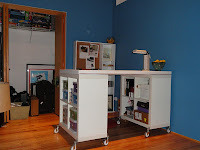 Thank you to bloggiveaways.blogspot.com for posting this giveaway to help drive some traffic - I hope that the participants in this giveaway will continue to check back in on the blog to see what's new!